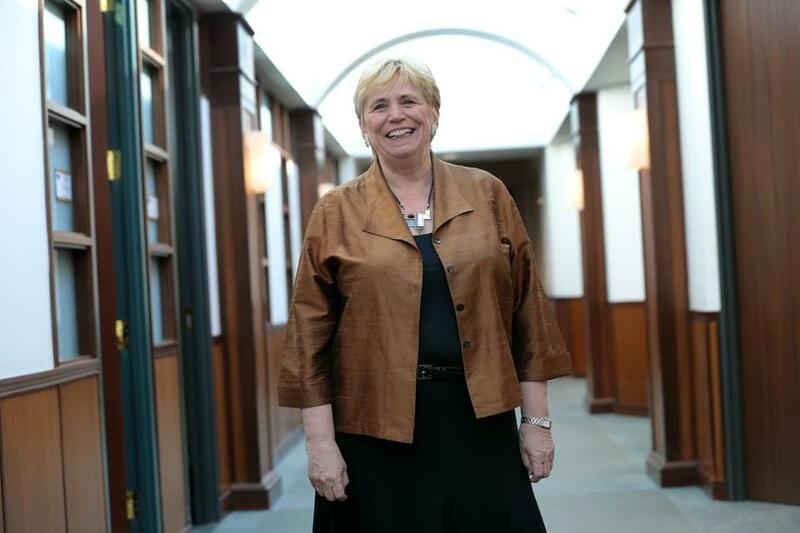 Suffolk University president Margaret McKenna. I was trying to understand how Suffolk University could be on the brink of firing its fourth president in five years, so naturally I called the man who runs the place. Some people support current president Margaret McKenna and some definitely do not, but it’s hard not to feel sympathy for a person being publicly run out of a job she has held for a mere seven months. At the glacial pace of change in the academy, it’s virtually impossible for a college president to do much of anything, good or bad, in such a short time. Yet she’s on the verge of getting fired in less time than it takes to flunk out. The school’s trustees meet later this week, but they didn’t wait for that to leak word that they are pursuing former attorney general Martha Coakley as McKenna’s replacement. McKenna’s supposed transgressions seem minor, at best. Her real mistake seems to be operating under the delusion that she is in charge of something. The worst thing she has done is act like a president. “I will not stand by while this board fabricates reasons to justify my termination,” Margaret McKenna wrote. Of course, that is not the view of the board members pushing to replace her. They say she has created jobs without authorization and filled jobs without posting them. They said she has wasted money on office space. They whisper that she is abrasive. As we all know, that is code for being a pain, and woe to the woman executive accused of that. Students and faculty members are rallying to her support, but to what end? She isn’t going to be saved by a hashtag, and probably not at all. I don’t mean to be glib about someone’s career, but McKenna isn’t likely to be president of Suffolk two weeks from now. Of course, part of her problem — a big part — is that the board never wanted her in the first place. The job was supposed to go to Marty Meehan, the former congressman and former Suffolk board member. But Meehan wisely left Suffolk at the altar, opting instead for the presidency of the University of Massachusetts. It’s not clear that McKenna was even the second choice for Suffolk. Board chairman Andrew Meyer told me that the board was acting out of its “fiduciary responsibility” to protect the university. But he steadfastly refused to say what, exactly, is the threat, or why firing McKenna is the only solution. Ultimately, McKenna wanted to dislodge Suffolk’s entrenched power structure — which includes Regan, who has managed to maintain an outsized influence since he left the Suffolk board. He resigned several years ago after Coakley, ironically, charged that it was a conflict of interest for a board member to also hold a $366,000 annual contract to be the school’s public relations czar. But Regan didn’t need a title to maintain his juice with the board. It doesn’t hurt that his deputy remains on the board. If she takes it, good luck dealing with her preening new bosses. Lost in the maneuvering is the fate of the school itself. Honestly, who would want to work for this board? Or become a serious donor? The guys who run Suffolk like to say all they care about is the school and its mission. But everything they are doing says just the opposite. Correction: An earlier version of this column identified George Regan as a former member of the Suffolk University Board of Trustees. 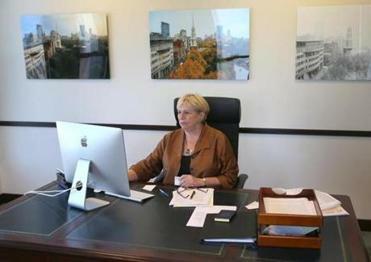 Regan was elected to the board in 2008, but turned down the appointment after questions were raised about financial connections between Suffolk University and members of its board.